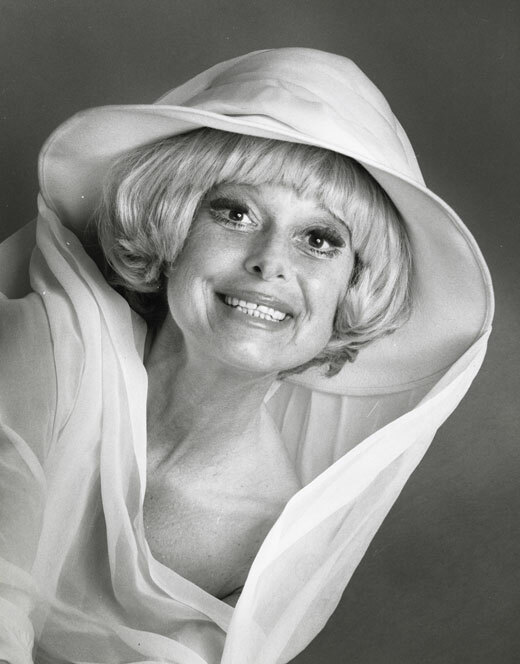 Today is the 95th birthday of Seattle’s very own Carol Channing. Do yourself a favor and watch the 1967 version of “Thoroughly Modern Milly” sometime, it is brilliant and Carol rips through every scene she has. The world is a better place because she is in it. BEST KNOWN FOR: Carol Channing starred as Lorelei Lee in Gentlemen Prefer Blondes on Broadway in 1949. She received a Tony lifetime achievement award in 1995. Born January 31, 1921 in Seattle, Washington. The daughter of a prominent newspaper editor who was very active in the Christian Science movement, Channing attended high school in San Francisco before enrolling at Bennington College in Vermont. She majored in drama and dance for one year before dropping out to try her luck as an actress in New York. Channing made her Broadway debut in 1941’s Never Take No for an Answer. With her megawatt wide-eyed grin and raspy voice, Channing made a name for herself in 1949 when she starred as Lorelei Lee in Gentlemen Prefer Blondes. It was in this role that she immortalized the anthem Diamonds Are a Girl’s Best Friend. Though she lost the Lorelei Lee role to Marilyn Monroe in the 1952 film version, she remained active in nightclub and review appearances throughout the 1950s and early 1960s. Her next Broadway hit did not arrive until 1963, when she landed the role of Dolly Gallegher Levi in the blockbuster musical Hello, Dolly!. She won a Tony Award for her performance, but again forfeited the on-screen role to a young Barbra Streisand. In 1966, Channing was awarded an Emmy for the 1966 TV special An Evening With Carol Channing, and received an Oscar nod for her supporting performance in Thoroughly Modern Millie in 1967. Throughout the 1970s and 1980s Channing has lent her signature voice to animated films, including Shinbone Alley, Happily Ever After and Thumbelina. She has also supplied voices for the animated television series Where’s Waldo?, The Addams Family and The Magic School Bus. In 1995, Channing was honored at the Tony Awards with a lifetime achievement award. Channing was married to Charles Lowe from 1956 until his death in 1999. She married her junior high school sweetheart, Harry Kullijian, at the age of 82 in 2003.